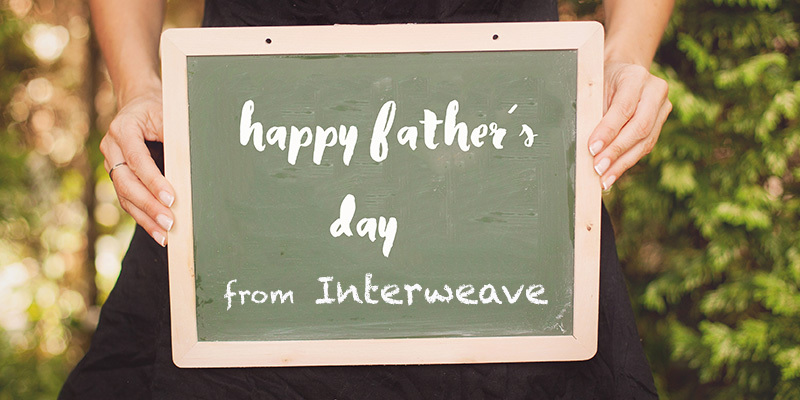 Happy Father’s Day from Interweave! The answers were mindful and funny – and some of them had absolutely nothing to do with yarn. And that’s okay, right? Because when it comes to handmade presents – you have already won the gift-giving game by putting that much more thought into it. 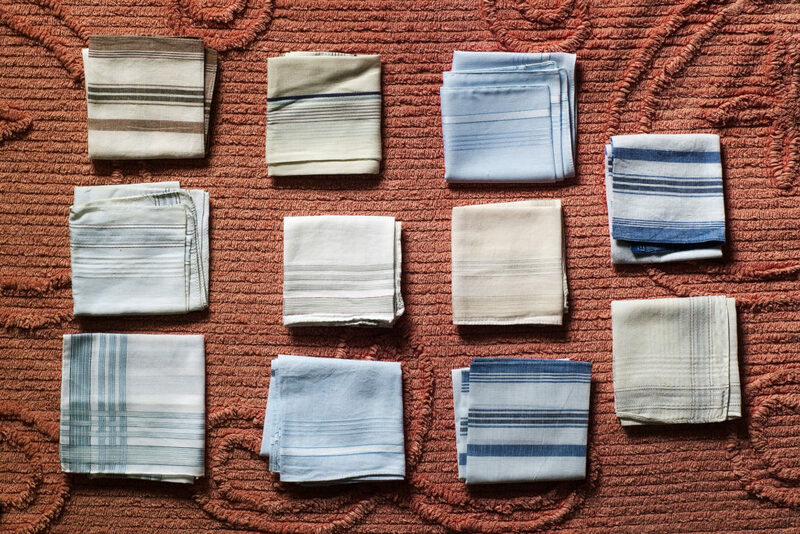 “I started making my dad handkerchiefs when I was in high school. 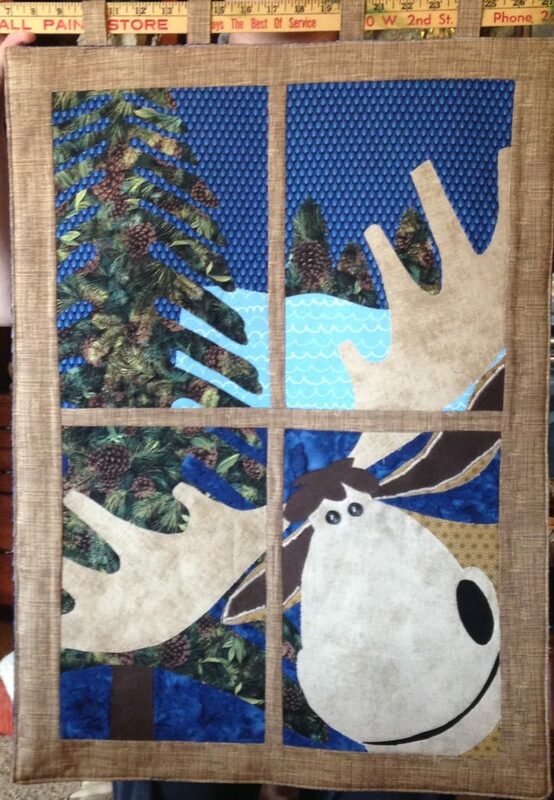 He was always talking about how the ones in stores were chintzy and too thin and just not what he needed, so I bought some heavier quilting cotton and got to work. I don’t really know how to sew, but straight seams I can handle. “I call my dad the Rhode Island cowboy–he listens to country music, has cowboy boots, belt buckles, and has always dreamed about living “Out West.” Imagine a Peter Griffin accent coming out of a big guy dressed up for the National Western Stock Show and that will give you a good picture of my pop’s. It’s endearing and hilarious. 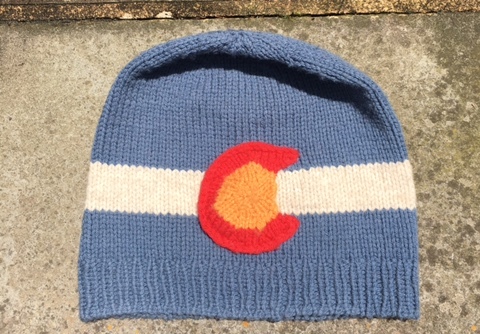 Handmade Rocky Mountain charm for Bill Babin’s noggin. My dad’s humor hasn’t always been conducive to my people-pleasing personality. I remember gifting him an abstract image that I had worked on with pastels and framed for him. It was this swirly mix of blue and yellow, not quite combining to create green, but worked onto the paper in a way where the colors stood out from one another. His exact reaction was, “What is this supposed to be?” I was crushed. I was nineteen-years-old at the time. The truth is that I could never go wrong if I provided my father with something practical that was actually of use to him. I made him a clay ashtray when I was seven. I can see that ashtray now – not a perfect circle, but misshapen and a little lumpy. Kind of blue, but also kind of gray – it was not the most attractive thing that sat on our coffee table when I was a kid. But he did keep it out long enough for me to remember it. And about that drawing that I did for him using pastels – it’s hanging in one of the spare bedrooms at his condo. He may still not know what it is “supposed to be” – but he held onto it and it is a part of the backdrop of his life. I’ll take it. In whatever way you are able to make it a Happy Father’s Day – whether by crafting or just giving the gift of your time – we hope you enjoy it with someone that you love.